[142 Pages Report] The global blockchain in energy market was valued at USD 279.0 million in 2017 and is projected to reach USD 7,110.1 million by 2023, at a CAGR of 78.32%, during the forecast period. This research study involved the use of extensive secondary sources, directories, journals on power generation technologies, and other related rental markets; newsletters and databases such as Hoover’s, Bloomberg, Businessweek, and Factiva to identify and collect information useful for a technical, market-oriented, and commercial study of the global blockchain energy market. 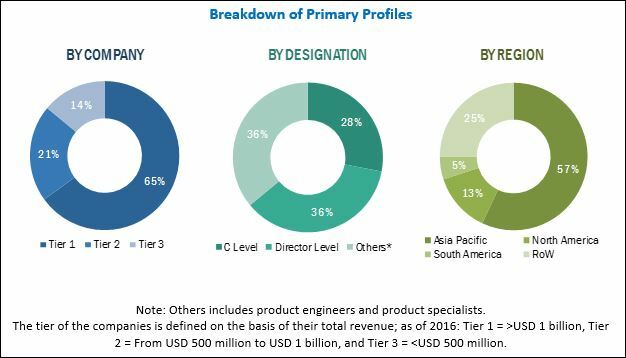 The primary sources include several industry experts from the core and related industries, vendors, preferred suppliers, technology developers, alliances, and organizations related to all the segments of this industry’s value chain. The research methodology has been explained below. 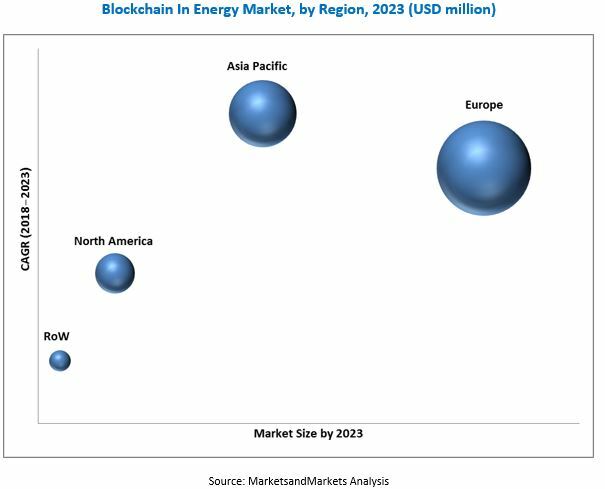 The global blockchain in energy market is projected to reach a market size of USD 7,110.1 million by 2023, at a CAGR of 78.32%, from an estimated USD 394.3 million in 2018. This growth can be attributed to the Increasing popularity of the blockchain technology in the energy sector, the need to manage infrastructure and other business functions through high transaction speeds and immutability, and the rising security concerns across the globe. The power segment is one of the major end-users of the blockchain in energy market. Also, this segment is expected to hold the largest market share during the forecast period. The blockchain technology in the power sector plays a major role in managing distributed energy resources and provides companies with more cost-effective and efficient solutions to record and process transactional data. In addition, the power sector has the largest number of implemented blockchain in energy projects and R&D investments. In this report, the blockchain in energy market has been analyzed with respect to 4 regions, namely, North America, Europe, the Asia Pacific, Africa, and RoW. The market in Europe is estimated to be the largest blockchain in energy market, from 2018 to 2023. Countries such as Germany, the UK, and the Netherlands are heavily investing in adopting blockchain technologies to solve global transaction processes between multiple parties and provide a more secure and accurate data to the customers. Lack of a common set of regulatory standards, uncertain regulatory landscape, and concerns related to the authenticity of users could act as restraints for the market. Lack of regulations and uncertainties continue to be some of the biggest restraining factors for the adoption of the blockchain technology in the energy sector, as there is no regulatory standard on how the transactions should be written. Therefore, the US Federal Trade Commission has created a Blockchain Working Group to act toward this and navigate uncharted territory through resource-sharing and hosting experts across the globe. The leading players in blockchain in energy market are Microsoft (US), Accenture (Ireland), IBM (US), Infosys (India), and SAP (Germany). New product launches are the most commonly adopted strategies by the top players. This was followed by partnerships and investments & expansions.